Summer is here! It is HOT, HOT, HOT! 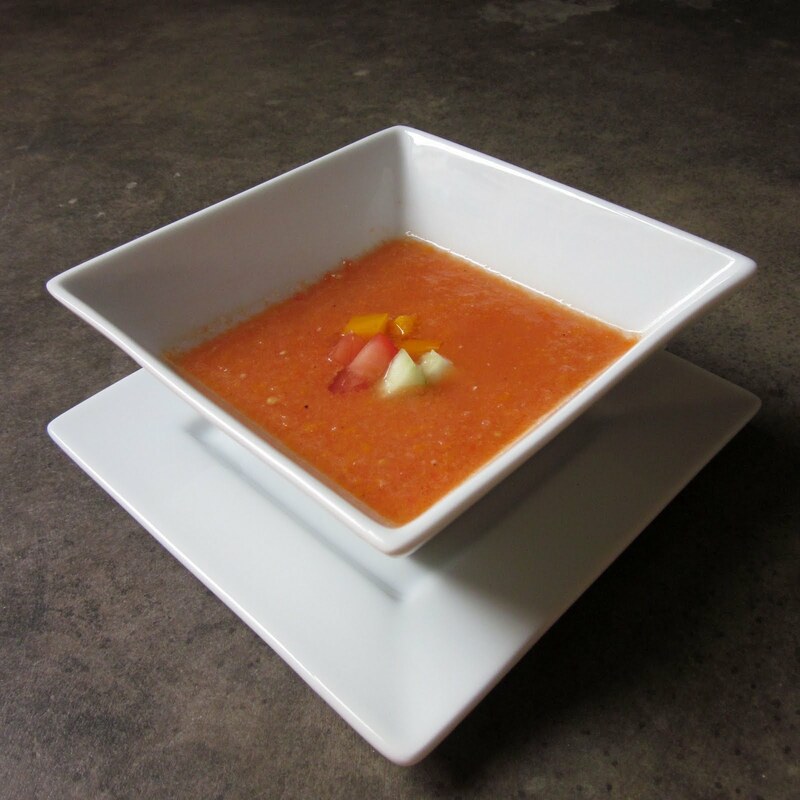 To cool down, I concocted this watermelon gazpacho up for dinner last night. It was so refreshing and light, what a perfect end to a sweltering day. reserve some tomatoes, cucumbers, and yellow bell pepper for garnish. place all ingredients except for olive oil and vinegar into a food processor and blend until smooth. with the processor still on, add in vinegar and olive oil gradually. place gazpacho in refridgerator until ready to serve. garnish with a few pieces of reserved tomatoes, bell pepper, and cucumber.